Satisfaction, meaning paying for one’s sins, is rejected by Protestants since we see Christ’s work as full and final on that account. But what about sanctification? Walls is proposing that, among other things, Purgatory would answer the question as to how God intends to complete our sanctification before we come into his presence. Walls answers seem to be “Yes” and “Purgatory” for the repentant (he also believes in post-mortem repentance, but that’s an entirely other subject). MY THESIS: Full Practical Sanctification (FPS) is composed of two parts – moral purity, and moral maturity. The former is fully attained at the resurrection, when we receive our new bodies, having left the old corrupted bodies behind. The latter is achieved throughout eternity. Sanctification in Christian theology is a two part process – when one accepts Christ (at regeneration) we are declared morally pure (holy), but from that point on, that new ‘legal’ or ‘positional’ status must also be developed into the reality of our life and character – typically called ‘progressive’ or ‘practical’ holiness. Sanctification is a state of separation unto God; all believers enter into this state when they are born of God: â€œBut of Him you are in Christ Jesus, who became for us wisdom from Godâ€”and righteousness and sanctification and redemptionâ€ (1 Corinthians 1:30). This is a once-for-ever separation, eternally unto God. It is an intricate part of our salvation, our connection with Christ (Hebrews 10:10). Sanctification also refers to the practical experience of this separation unto God, being the effect of obedience to the Word of God in one’s life, and is to be pursued by the believer earnestly (1 Peter 1:15;Hebrews 12:14). 2. Is full sanctification required for us to enter into God’s presence? The last verse is interpreted as requiring holiness in order to see or get near to God in his full glory, and the first two verses seem to indicate that our sanctification will be completed by the time of Christ’s return, so there is no timeline conflict there. Assuming for the moment that full practical sanctification (FPS) occurs between now and Christ’s return, as you might expect, there are a range of proposed endpoints for sanctification. But before we look at the possible milestones for FPS, I want to stress the importance and impact of this topic. Wrong doctrines have practical impacts on people, and wrong doctrines of sanctification have caused many to suffer wrongly, and even leave the faith. Below, I will discuss the various doctrinal views, and the impact they can have – bad views produce bad results. But ‘bad’ results or not, in the end, we must ask, what do the scriptures say, and where they are silent, what do reason, tradition, and experience suggest are the most likely answers? 4. When is full sanctification accomplished? Though I disagree with the proposed timing of reaching this perfection (before death), Methodism’s definition of perfection provides the two attributes which form my thesis – purity v. maturity. Here’s the type of sanctification Wesley beleived Christians could attain in this life – that is, moral purity. Now note that he wants us to know that this moral perfection is not entire, nor is our sanctification, from a maturity point of view, complete. So, Wesley admits that our moral perfection can be accomplished before or at death, but there still remains room for growth. Unfortunately, this doctrine of the possibility of moral perfection in this life also leads to and is tightly and logically integrated with the idea that one can and must continue to exercise effort with respect to that growth, or else they could lose their salvation. This emphasis on human effort and responsibility has a huge risk, which is that Christians will subtly shift from faith in God to faith in their own ability to persevere. And this leads to some of the most hellish Christian striving. I know firsthand. As a victim of the heavy burdens of the Wesleyan/Holiness view of full sanctification in this life, I nearly gave up on faith until the more Reformed views of Christ’s finished work put me back on a foundation of faith in God instead of faith in my own efforts. The traditional Reformed view is that our sanctification is completed when we leave this sinful body behind at death. This is a convenient spot to insert this completion, but it is a bit of a deus ex machina solution, and it then begs the question – if we are all instantly sanctified at death, what use is there maturing or seeking Christ-likeness in this life? If it’s automatically given, rather than worked into us through experience and cooperation with God, why try at all? This objection is a good one, and is one of the motivating factors behind the purgatorial view described below. However, my bifurcated view of sanctification, that of separating it into purity and maturity components, obviates the need for purgatory, allows us into God’s presence immediately, and allows for ongoing spiritual growth in heaven. But I’m skipping ahead. On this view, our time spent in the intermediate state, after death and before resurrection, is spent becoming sanctified. However, this view has some issues – like why is it that people who die just before the resurrection only need a few years in purgatory, while those who died in the first century, need 2000+ years to complete their sanctification? 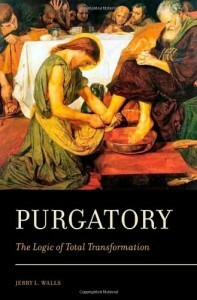 Some purgatory supporters might say that we spend some time in purgatory AFTER resurrection, but that too has problems – so some of us get into heaven at the resurrection, while the rest work on our sanctification? And on it goes. This view is very similar to the Reformed view, except that it puts attainment of FPS, not just at the point of leaving this earthly body, which would put FPS attainment at the start of the interim period between death and resurrection, but at the point of receiving our new bodies at the resurrection. Since we don’t know much about the interim state of the regenerate dead, there’s not much difference between this and the ‘at death’ view of FPS. This is where my thesis comes in. If you can accept the bifurcation of sanctification into moral purity and moral maturity, then there seems no reason why you could not hold to a view that says the first is attained at death or the resurrection, while the latter could go on for eternity. Full Practical Sanctification (FPS) is composed of two parts – moral purity, and moral maturity. The former is fully attained at the resurrection, when we receive our new bodies, having left the old corrupted bodies behind. The latter is achieved throughout eternity. This approach addresses what I see as the weaknesses of the other views. It doesn’t posit some purgatorial structure in either the interim period or after resurrection, an additional component for which we see little or no scriptural support. Of course, I have not made the exegetical argument for my case, mostly a philosophic one. But that could come next. My righteousness is what you were talking about earlier, that was accomplished in full on the cross so I’m not sure there is anything that remains to be done (or “accomplished in my life”) since I was arguably “set apart” by God before the beginning. What you are missing is that righteousness seems to be described in two ways in the NT – positional righteousness, which is what you described – instantly credited to us based on Christ’s merit. However, there is also the practical righteousness that we gain by becoming Christlike – that is often what sanctification is used to describe. We continue to grow in practical, real holiness, righteousness, love, etc. as we become like him. So the open questions are, when is it completed, how is it completed, and is completion of such purification required for us to enter into holy God’s presence? That’s what these theologians, and myself, are attempting to answer. The reason is, MISunderstanding these things has real and sometimes negative consequences in the lives of believers, and being ignorant of these things will as well, since they are somewhat required for true christian living. We all ask ourselves “How pure do I have to be to please God, or stay in his favor? Can I make mistakes? Can I sin? Should I expect to sin? How much? How do I become more christlike, and what is my role, and what is God’s role?” These require good answers. I think the open questions are the parts I’m having difficulty with. Yes, I do expect to sin because I’m human and still on the pathway towards being Christ-like. Because if there is a means test to get into Heaven, I’m certain I will fail it along with everyone else who has ever lived except Christ. I’m told to acknowledge Him in all my ways, Delight [myself] in Him (Psalms 37), commit my works [to Him], all in my effort to gain His wisdom/insight/direction in my life: All of that suggests to me my role as a follower of Christ is to continually align my spirit with the Holy Spirit and (practically) work out my salvation (not achieve it, not deserve it, not strategize to the point in my future when I will finally be righteous). I totally agree. As with many doctrines, however, there are twin extremes to avoid here. One is emphasizing our need for Christ so much that we avoid any effort on our part in cooperating with God in developing Godliness. The other is to emphasize our own responsibility to the point where our effort and performance are required for salvation. Both are dangerous to healthy faith. I lean towards maintaining focus on God’s ability and promises to complete the work, so that any effort I put into it is not salvific, but merely a result of God’s work in changing my heart. But this article is not directly trying to answer that question. It is more about how and when such sanctification is completely accomplished, not whether it is required for salvation – salvation here is a given. So don’t think that by discussing practical holiness I am saying that perfection or effort are required for salvation – in my view, they are a result of the initial salvation, which is enabled and completed by God. Does that make sense? I admit to a certain bent towards racing off down rabbit trails that are only tangentially related to the original topic. Born of an interest in the topics of theology, in general, they are nevertheless sometimes unwarranted chases. I appreciate your patience. I agree, I love exploring all of the related doctrines, issues, and impacts of a doctrine, it’s hard to limit such deep and wide subjects. I appreciate your interaction!